Extra Touches Added, New Pricing Announced, for 2015 FR-S and tC Models. TORONTO, ON., (June 17, 2014) – Everybody wants to look and feel their best for summer and the 2015 Scion FR-S is no exception. The new model year FR-S features enhanced tuning and improved looks while the 2015 tC sports coupe receives new colours and a sporty feature to bring on the summer fun. "Serious drivers and tuner fans will love the new features that we've added to the FR-S and tC for the 2015 model year," said Cyril Dimitris, Director of Scion Canada. "And we know Canadians will be keen to conquer new roads in these two stylish, performance-tuned coupes." The FR-S is known for its outstanding dynamics, which are taken to a new level for 2015. The 2015 Scion FR-S features better handling and stability thanks to a more rigid front suspension and re-tuning of the rear shock absorbers. The improved damping results in less body roll and a more communicative driving experience. For better aerodynamics, the smooth look of a shark-fin antenna replaces the pole antenna found in previous models. The exhaust tips are now larger and more flush with the rear bumper. Inside the vehicle, drivers will notice the addition of automatic headlights, an updated interior panel with a carbon fiber look, as well as a new key design. The 2015 Scion FR-S MSRP is $26,670 with a six-speed manual transmission or $27,850 with a six-speed automatic transmission with paddle shifters. Steel replaces Argento as a sleek silver colour and Whiteout has been replaced by Halo, a pearl white available for an additional $255 fee. Inside all 2015 tC vehicles with automatic transmissions drivers will now enjoy steering wheel-mounted paddle shifters to enhance the sporty driving experience. Also for 2015 are two new colours; Cosmic Gray replaces Classic Silver and Alpine White has been replaced by Blizzard Pearl, which is available for an additional $255 fee. 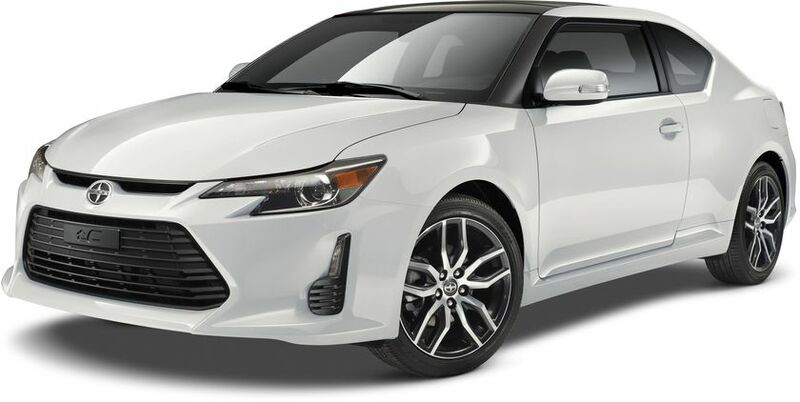 The 2015 Scion tC MSRP is $21,710 with a six-speed manual transmission or $23,010 with a six-speed automatic transmission and Dynamic Rev Management® technology. Scion is the exclusive Canadian distributor of Scion tC, xB, xD, iQ and FR-S vehicles through a sales and service network of 90 dealerships across Canada. All Scions come fully loaded with many standard features including Scion’s Star Safety System. Backed by Toyota, Scion is built by passion and dedicated to quality, style and performance. Find out what moves you atwww.scion.caor www.facebook.com/scioncanada.